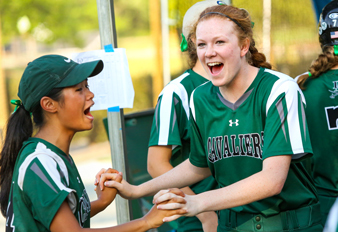 Durham Academy works to instill a global perspective in each student, and there's no better way to understand the world than to experience it firsthand. From visiting a Daoist temple in Hong Kong, to offering helping hands at DA's sister school in Nicaragua, to forming lasting friendships with exchange students from Spain and France, international travel experiences have profoundly affected many DA students' perspectives on the world. 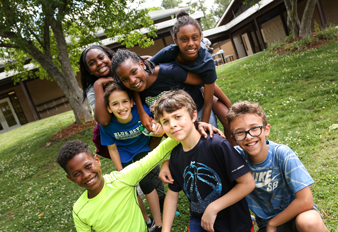 Several school-organized trips are offered to Middle and Upper School students during spring break and summer vacation. 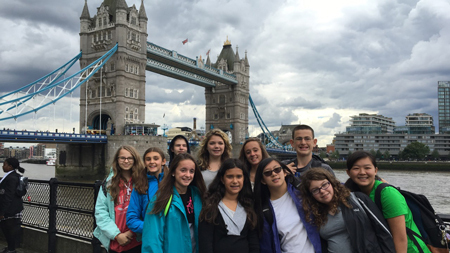 Every other summer, a group of Middle Schoolers travels to England and joins students from around the world for a three-week program offered by the Independent Schools Cultural Alliance (ISCA). ISCA staff, school faculty and students stay on the campus of Charterhouse School, situated in the English countryside about 35 miles southwest of London. In addition to several day trips to London, students take excursions to Winchester, Portsmouth, Stonehenge, Bath, Oxford, Blenheim Palace, Stratford, Windsor and Canterbury. Every third day, students remain on campus for group activities and sports. 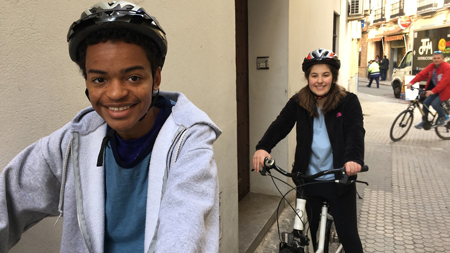 For more than three decades, eighth-grade French students have had the opportunity to experience the magic of Paris (and nearby areas) in spring! 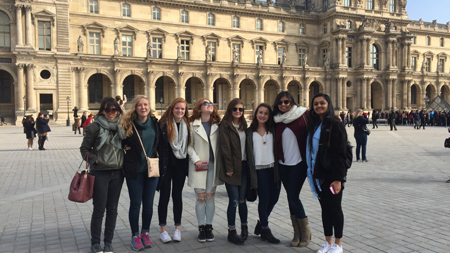 Over the course of this 10-day Spring Break trip, students spend the majority of their time in Paris — dining on crêpes, learning to make French pastries and soaking in such sights as Notre Dame, the Louvre, the Musée d'Orsay and the Eiffel Tower. In addition, the group takes excursions to Normandy, Provence, Senlis, Chantilly and Arles. 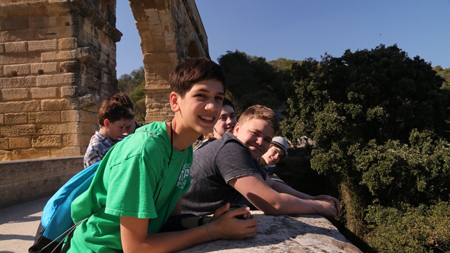 Feasting on paella, strolling through the Prado museum and Rastro market, and noshing on tapas ... it's all on the itinerary for the Middle School's annual Spring Break trip to Spain! Over the course of this two-week trip, students spend time in Madrid, Toledo, Sevilla and Granada. A few highlights of recent trips have included making traditional Spanish fans in Sevilla, taking in the vibrant colors of Los Patios de Córdoba and learning to make authentic Spanish cuisine at a Toledo cooking school. The Upper School's biennial China exchange program involves students from a Chinese high school visiting North Carolina in January or February, and Durham Academy students getting a first-hand taste of Chinese culture during a visit the following summer. 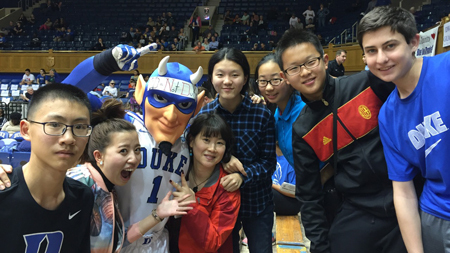 During their two-week visit, the Chinese students live with DA families and experience life much as a typical DA Upper Schooler — attending class, learning about the U.S. college admissions process, sampling North Carolina-style barbecue and catching a basketball game or two. In addition, the visitors make time to share their culture and language with their new friends at DA. 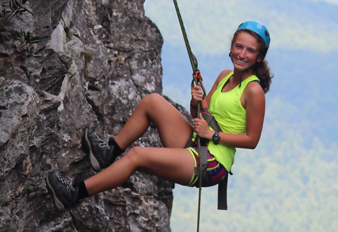 Every two years, Upper Schoolers have the opportunity to participate in a World Challenge expedition to a different spot on the globe. These trips are planned and managed by the students themselves, with DA chaperones and World Challenge experts serving as facilitators. 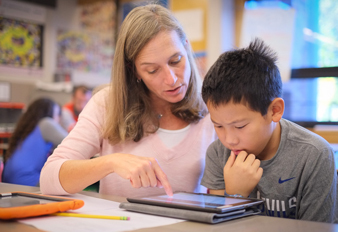 The practice of students taking the lead in planning their journey helps develop teamwork, leadership, money-management and problem-solving skills. 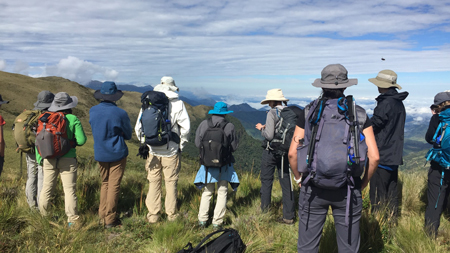 DA's inaugural World Challenge experience took 17 Upper School students to Ecuador for three weeks. The next World Challenge trip is tentatively scheduled for June or July of 2019 to Uttarkhand, India. The Upper School's France exchange program involves students from a French high school visiting North Carolina each fall, and Durham Academy students paying their French friends a visit every other year. 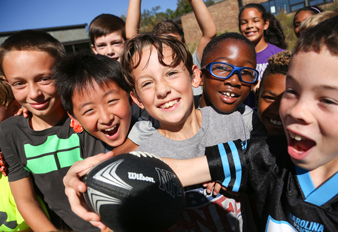 While in North Carolina, the French students live much as typical American high schoolers, living with DA host families and attending class with host students. 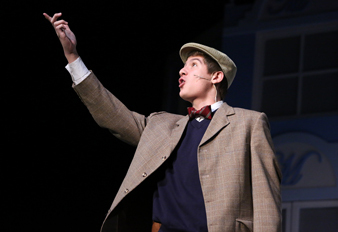 Several months later, DA students participating in the exchange have the opportunity to experience life much as typical French high schoolers while living with the families of their French "siblings." While in France, DA students also have time to explore the sights, sounds and tastes of Paris and environs, from the magnificence of the Eiffel Tower and the Louvre, to pastries in Chantilly and long walks in Normandy. 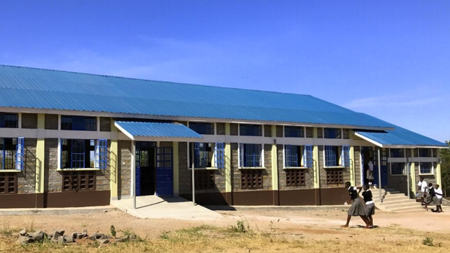 This service-focused trip to Kenya is held in conjunction with WISER (Women's Institute of Secondary Education and Research), an organization founded at Duke University to improve the health and education of women in the Muhuru Bay area of Kenya. DA's student-run WISER Club has been active for many years, raising thousands of dollars to support WISER's goals — from providing scholarships for local girls to attend the WISER boarding school, to building a water-purification system for the community surrounding the school. 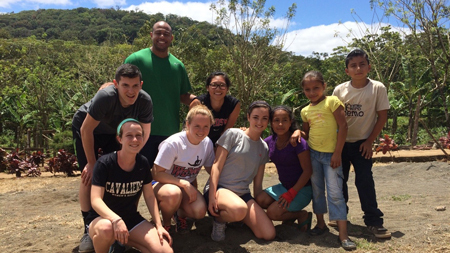 At the center of the Upper School's Nicaragua trip is the Sister Communities of San Ramón nonprofit that ties together Durham, North Carolina, with San Ramón, Nicaragua. 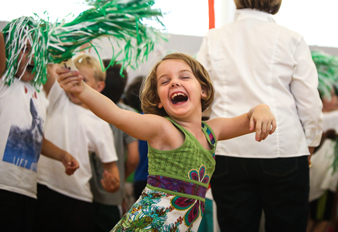 Over the many years of this relationship, Durham Academy students have helped to build a school, Bailadora No. 2, and address other needs of the school and broader San Ramón community. In addition to working on community service projects, participants in the Nicaragua trip get to know the Central American country through cultural and nature-focused activities at Finca Esperanza Verde, an ecolodge, organic coffee farm and nature preserve started by parents of two DA alumni. Students sleep at the ecolodge for a portion of the trip and stay with host families in San Ramón the remainder of the week. 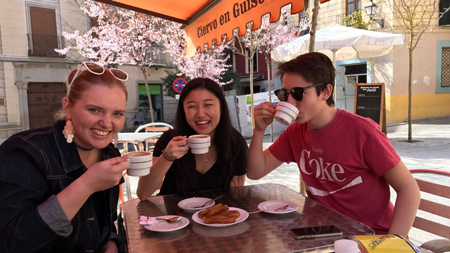 Through the Upper School's Spain exchange program, students have the opportunity to forge deep and meaningful relationships with Spanish students and their families. The exchange kicks off with a group of Spaniards visiting North Carolina in September; the Spanish students stay with Durham Academy families during their visit, essentially living as typical DA students. DA students who hosted Spaniards also pay a return visit in May. Students spend their time with host families in Madrid, and also have the opportunity to explore locales like Granada, Salamanca and Segovia.